I spasm no more than seven times a day, mostly at night time while I’m in bed or being stretched. I took 60 mg of Baclofen a day orally, but through FES and stretching, I was able to gradually taper off of the Baclofen. I found out that there are side effects of Baclofen when taken orally which interfere with the benefit of neuro-muscular reeducation. 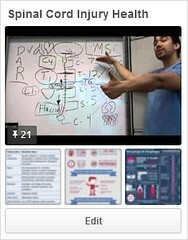 Click Here — Learn more about spasticity and watch thousands of SCI videos on SPINALpedia! I recently had increased spasms due to a urinary tract infection (UTI). The spasms indicated there was something wrong which was eventually diagnosed as a UTI. Pay attention when you spasms increase! A spasm is an involuntary movement that occurs below your level of injury because your muscle contracts. 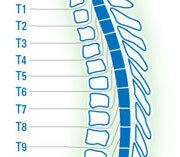 Messages below the injury that travel up the spinal cord and are redirected below become involuntary muscle movements. They exercise your muscles and increase circulation. You can sometimes work with them to help with transfers or other movements. They can interfere with some daily activities and sleep. They can cause shearing or skin irritation. Can cause limited joint movement and cause contractures. Can cause injury if you bang into something. How do I prevent spasms? Spasms can be decreased through stretching twice daily – before you get out of bed and before you go to sleep. FES (Functional Electrical Stimulation) below your injury has proven to decrease spasms significantly. There are some medications that decrease spasms by relaxing your muscles, but I do not recommend them unless the spasms interfere with you leading a fulfilling life. Those medications have side effects and will inhibit nerve regeneration. Why are my spasms increasing? 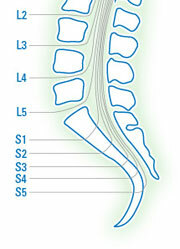 If your spasms are increasing there is probably something bothering you below your level of injury. 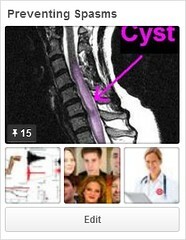 This could be a UTI or pressure sore. If they continue at the increased rate, you should seek medical attention or contact your physician.